Haridwar's leading tour and travels Booking Char Dham website, over complete Char Dham Yatra packages India. Book Chardham Yatra packages and enjoy your Yatra with distinctive experience. Chardham Tourism is a website of Yatra Holidays is a reputed travel agency registered in Haridwar and approved by Uttrakhand Tourism. We started working in March 1997 as a local tour operator. Now we started providing services for char dham Yatra such as char dham packages, char dham yatra by helicopter, chardham hotels booking, char dham taxi services, etc. Chardham yatra collectively comprises of pilgrimage to holy shrines situated at Badrinath, Kedarnath, Gangotri and Yamunotri in the Garhwal region of Himalayas. It spans for six months duration and is visited by thousands of devotees from all across the world. Get all the latest info about Chardham Yatra and Chardham Package and know where to travel in Chardham with complete chardham Travel Guides, chardham Maps, chardham Weather, chardham Images and more. Chardham Tourism offers all type of services for Chardham Yatra 2019. Book your chardham Yatra in advance for 2019. Chardham Tourism also provides chardham hotel service booking for chardham Yatra 2019. Book your chardham hotel in advance before peak season. Chardham Tourism also provides chardham Taxi service booking for chardham Yatra 2019. Tempo Traveller And Bus And Cab/taxi/car Booking In Affordable Price. It is an easy way to save time during long Chardham Yatra. Chardham Tourism also provides Chardham Yatra by Helicopter service booking for chardham Yatra 2019. The tour by helicopter gives opportunity to cover all destinations in a day. 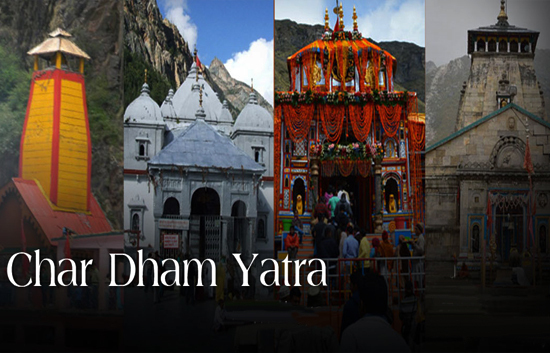 It is an easy way to save time during long Chardham Yatra. Chardham is generally visited by the pilgrims but there is no dearth of adventure lovers visiting this place. They visit this place for the sake of excursion and completely get mesmerized by the beauty and attractiveness of this place. Chardham Yatra is a beautiful country and a major tourist destinations and attractions throughout the world. There are many attractions and places to visit in North India.